Join in and write your own page! It's easy to do. How? 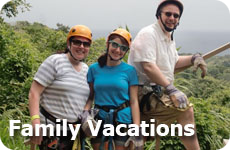 Simply click here to return to Family Vacation Ideas. 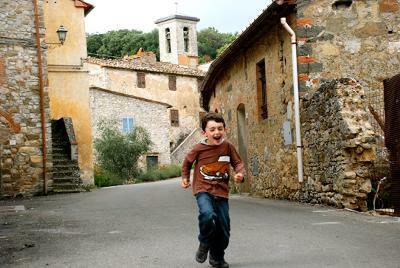 I love Tuscany with kids. 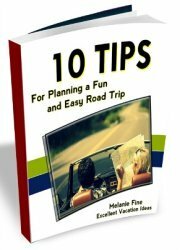 I started by business planning travel for families wanting to go to Italy and it is still our most popular market. Italians love children and make it fun for you to be there with them. Italy is magical for all ages - yes, you can sightsee all day long, but it is also equally as nice to do simple things (wander/loiter) and enjoy the beautiful setting. Kids get into this too in Italy! Italian food is easy with kids - it's what they love anyway so feeding them is not a problem. 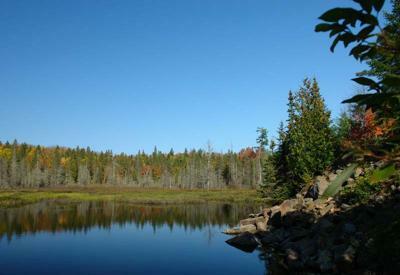 There are great places to stay with kids where you have living space plus services in locations for easy day trips, i.e. logistics can be easy if done correctly. I could go on all day about this but those are my top reasons ... I'd go back every year if I could! Jerusalem is one of the most interesting cities in the world. It has a special atmosphere, and you can actually "hear" and "feel" the ancient history everywhere you go. One of the best places to visit in Jerusalem is the old city, and in the old city definitely the Arab Market (Shouk) is the most colorful and magical place. 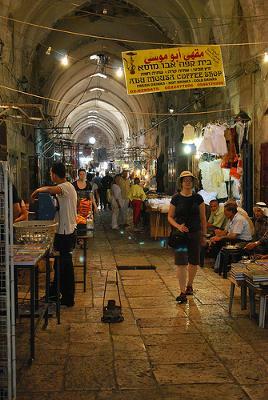 The Arab Market is located between Jaffa Gate and the Temple Mount. The Shouk has high arches and ceilings, and is set along narrow alleys. And did you know that a large portion of the Via Dolorosa is located inside the market? We used to visit the market quite a lot when I was a kid. For me the market was a Luna Park. I remember us kids running in the alleys, playing hide and seek, speaking with the merchants, and looking at the huge chunks of uncooked meat hanging on hooks. But the Arab market is more than a magical place for kids. It offers a variety of lively shops that sell everything from nuts and spices to jewelry (crucifixes, and Judaica), hookahs, and clothes, all with an oriental flavor. It can be very tempting to buy almost everything you lay your eyes on, and the prices are so cheap. But don't rush to buy right away. Explore the market, find what you like and then bargain over the price. Do not be shy, bargaining is an acceptable and expected part of the buying process. The Shouk is a must attraction, and shouldn't be missed. Cat Island...It's Not Just for Cats! 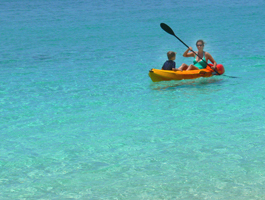 The Bahamas are a great choice for families. Just a short flight off the Florida coast, they have miles of pristine beaches, turquoise waters that are so clear it seems you can see forever and the people are laid back and welcoming. We have visited three of the 200+ islands that make up the Bahamas while filming for our series, Travel With Kids (more info at www.TravelWithKids.tv). Providence Island is home to Nassau, the capital of the Bahamas, and while it has large resorts, nightlife, and duty free shopping, we tend to like to get a bit more off the beaten path. Grand Bahama has a good mix of activities and deserted beaches, but our favorite is Cat Island. It's a bit harder to get to, but worth the extra effort. We stayed at Fernandez Bay Village and had the beach almost entirely to ourselves. We kayaked and snorkeled all day and found crabs and played pirates at night. The lack of TV and telephones in the rooms gave us the chance to really bond as a family. And there were other families there to share the experience. Overall, it was one of the best family vacations we've had. 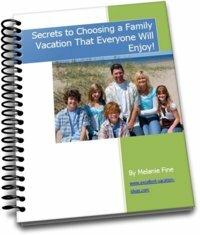 I was looking for a vacation for my family this summer. I have 2 girls age 15 and 12, and they are IN LOVE with Twilight. If I showed them that they could do a tour of where they filmed the movie or even take them to Forks Washington - They would flip out. I wouldn't hear the end of it until I took them. 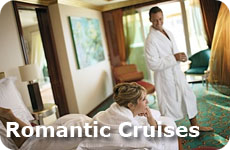 Here are some of the tours offered. I will have to talk to my husband first - I love Twilight too - But I can't see him wanting to go - He liked the movie though...hmmmm Guess I won't know until I ask!